Although e-cash systems are widely used, currently available e-cash is not a complete replacement of real cash, e.g. authorities can know merchandise for which the e-cash was paid from information included in e-cash despite they may be secrets of the cash holders. Also, protection of e-cash from dishonest entities in offline environments is not easy. A payee of e-cash cannot determine whether the e-cash a payer is paying was used already at other places or not when databases about already used e-cash are not available for example. 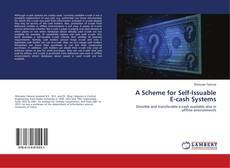 To completely replace real cash with e-cash, this book develops a self-issuable e-cash scheme that satisfies all essential requirements. Namely, cash holders cannot forge e-cash and only a legitimate cash holder can use its e-cash. Also, no one except cash holders themselves can know their purchases or can link their consecutive purchases. 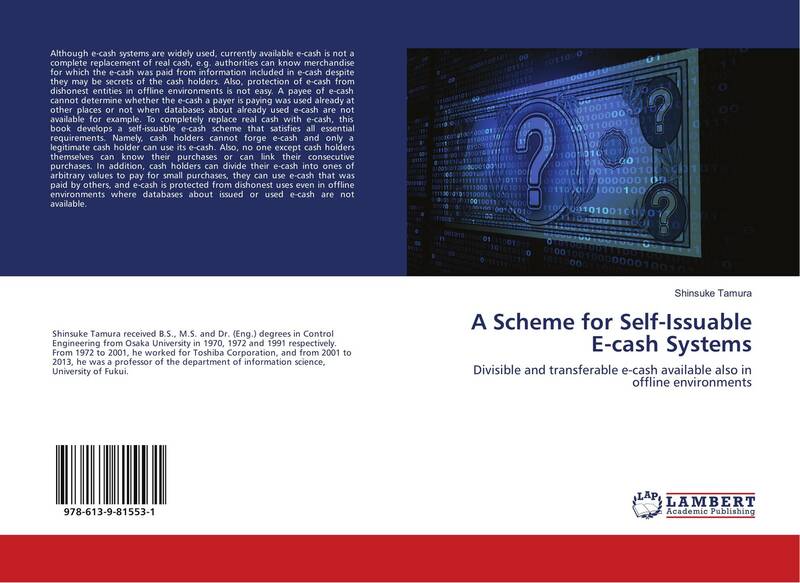 In addition, cash holders can divide their e-cash into ones of arbitrary values to pay for small purchases, they can use e-cash that was paid by others, and e-cash is protected from dishonest uses even in offline environments where databases about issued or used e-cash are not available.